Like everything in the Michigan automotive market, there have been great strides in headlight technology in recent years. Michigan drivers can be safer at night because of it. Good headlights improve visibility on Troy roads, enabling you to see farther. They also improve your peripheral vision, helping you to see the sides more clearly. The more you can see, the more quickly you can react to road conditions. This is because nearly half of traffic fatalities take place at night. And as Troy resident population ages, everything that helps older eyes is welcome. 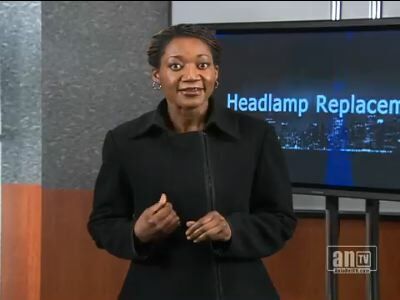 Most new vehicles sold in Michigan come with halogen headlamps. A decade ago, halogens were exotic and expensive. Now that they are standard equipment, the price has come way down. Many luxury cars are equipped with high intensity discharge, or HID, headlamps. You have probably seen them on some Troy roads; they're very bright and have a bluish tint. From behind the wheel, there is no doubt that HID headlamps are the best thing going. However, many Troy drivers complain about HID lights in oncoming traffic or when they approach from behind. In fact, when the National Highway Traffic Safety Administration called for public comment, they received a record number of complaints about HIDs. This has lead to several studies - your tax dollars at work. Some expect future regulation of HID lamps. All halogen headlamps dim over time. Your service advisor at Gary Knurek GoodYear recommends that they be changed out once a year. We suggest you replace your headlamps in the fall at the end of Daylight Saving Time. It's easy to remember; when you change your clock, change your headlamps. Remember to replace all headlamps at the same time; then all your lights will be equally bright. You will appreciate it during those long Michigan winter nights. If you have an older vehicle with old-school headlamps, you might be able to get a halogen replacement. You'll be amazed at the difference this upgrade will make. In addition to regular halogen lamps, Troy vehicles can upgrade to premium lamps that filter some of the yellow light, making a bright white light that's more like natural sunlight. This light's easier on the eyes and should improve reaction time. Now, you may be able to step up to HID headlamps, depending on the kind of car you drive. These lamps should last the life of your car, but cost several hundred dollars a pair. If you want other Troy vehicles to think you're running HID lamps, you can even buy regular halogens that have a bluish tint. Does she or doesn't she? Only her Gary Knurek GoodYear technician knows for sure. Over time, plastic headlight covers can get cloudy or yellowed. In fact, AAA reports that nine out of ten headlights are dirty or yellowed, greatly reducing vision. In addition to helping you replace your headlamps, many service centers such as Gary Knurek GoodYear in Troy, Michigan, can restore headlight covers. Headlights can be restored at a fraction of the cost of replacing them.